Northrop Grumman Corporation is a U.S. global technology company that provides autonomous, aerospace, cybersecurity, and defense solutions to military and commercial organizations. The company’s 2018 revenue was reportedly more than $30 billion. In 2017, it was the fourth-largest global arms trader, with defense-related businesses contributing to 84% of the company’s total revenue. Northrop Grumman employs technologies like artificial intelligence, machine learning, and robotics across its varied service and products. Autonomous aircraft systems: These systems are unmanned aerial vehicles that can operate with limited or no human intervention. They are typically used for battleground intelligence, attack and defense capabilities in military missions, and performing surveillance. Autonomous ground vehicles: Similar to the autonomous aerial vehicles, these are unmanned terrain vehicles used for autonomously carrying out bomb disposal, overhauling load, and fixing ground conditions during high-risk missions. Intelligent naval and aerial sensors: These devices detect and respond to external environmental stimuli that can be converted into electrical or optical signals. For example, sensors are used to detect foreign presence by electrically measuring the changes in temperature, pressure, and speed. Multipurpose virtual “entity:” This is a virtual assistant that supposedly helps technicians perform complex maintenance tasks by providing step-by-step instructions as a human assistant would. In the following sections, we discuss in detail the AI capabilities of the above-mentioned systems at Northrop Grumman and how they are employed in the U.S. military and defense operations. According to Northrop Grumman’s description of the X-47B, the machine is an unmanned aircraft developed as part of the 2007 U.S. Navy’s Unmanned Combat Air System Carrier Demonstration program. We have previously reported on the X-47B in our articles Autonomous Vehicles in the Military – Lockheed Martin, Northrop Grumman, and BAE Systems and Artificial Intelligence at the Top 5 US Defense Contractors. Initially, in 2007, the U.S. Navy awarded a $635 million contract to Northrop Grumman for the development and testing of X-47B, which grew to $813 million in 2012. An additional $63 million was invested in this project in 2014. In 2015, the X-47B demonstrated an autonomous aerial refueling (an in-flight transfer of fuel from one military aircraft to another). According to Northrop Grumman, this instance is the first time a fully autonomous aerial refueling has been carried out. The video below shows the X-47B autonomously performing a takeoff and landing from a mobile aircraft carrier deck in 2013. Traditionally, a human pilot’s skill is tested based on his/her ability to carry out take-off and landing without incidents. As shown in the videos above, the X-47B not only seems capable of performing these feats without human intervention, but it also went a step further and performed a mid-flight refueling without a human pilot operating it. This is the result of machine vision technology, which would have had to been trained on labeled video footage showing a pilot taking off from the perspective of the plane. However, as of 2016, the X-47B was put in “standby status,” according to National Defense magazine, quoting Capt. Beau Duarte, the Navy’s former Unmanned Carrier Aviation program manager. The Navy purportedly spent over $1.5 billion over 8 years funding the X-47B development. Currently, there is no further news of reinstating the X-47B contract. According to the Bat datasheet, the system is runway-independent and can take off from a mobile launcher. It is equipped with electro-optic, infrared sensors, which convert light rays into electronic signals for capturing images and videos in real time. It also comes with a laser designator for targeting the enemy line. The Bat is fitted with a moving target indicator, signals intelligence and communication intelligence for intelligence gathering missions, chemical and biological detection systems, and flare dispensers for attack. The vehicle was redeveloped to increase its payload carrying capacity to 125 pounds. In 2017, Remotec Inc., Northrop Grumman’s subsidiary, released a statement introducing the Nomad, an Andros line of unmanned ground vehicles (UGVs). The company claims that the Nomad is “Interoperability Profile (IOP)-compliant.” IOP is an initiative set by the DoD to maintain interoperability standards for UGVs. The Nomad is purportedly equipped with IOP-compliant “software messaging and hardware interfaces.” The UGV incorporates decades-worth of first-responder and military customer feedback. Further, Matthew Verock, Director of Land Forces & Protective Systems at Northrop Grumman, elaborated on the perceived capabilities of the Nomad at the UGV’s launch at AUSA 2017. He mentions that the Nomad is capable of carrying out EOD (bomb disposal) and ISR missions (enemy movement and behavior tracking). Northrop Grumman also claims that it is the largest provider of UGVs to the first responder market in the U.S and is their UGVs are used for military services and bomb squads in the U.S. and in 36 other countries. In 2006, Northrop Grumman’s U.K. subsidiary, Remotec UK Ltd., announced that it had won a Phase II Ministry of Defense contract for the CUTLASS robotics program. The CUTLASS is a remotely-operated bomb disposal robot that is designed for usage in anti-terrorism operations worldwide. The announcement mentioned that the bulk of deliveries would be carried out in 2010. According to a 2013 press release, CUTLASS is equipped with tools and sensors necessary for remotely performing a full range of operations required for bomb disposal. Northrop Grumman claims that the CUTLASS saves “up to 50 percent on the through-life costs when compared to owning and operating two standard UGVs,” meaning that the CUTLASS is allegedly capable of doing the work of two UGVs, thus mitigating the need to spend on more equipment. The 2013 statement also mentions that the manipulator arm is equipped with a three-pronged “gripper” and has nine degrees of freedom (directions of independent motion) for high agility in limited spaces. It further states that the robot is built to move at slow speeds for delicate operations and that the wheeled platform speed combination can reach up to 12 km/h to enable rapid travel. The robot can allegedly carry out operations on both hard and soft terrain, in any type of weather condition. In 2017, the Ministry of Defence awarded Northrop Grumman a 24-month contract for further “in-service support” of the CUTLASS program. This is a continuation of the existing in-service support contract and will be carried out at Northrop Grumman’s Coventry facility. Since 2014, NASA has been partnering with Northrop Grumman on various automated and autonomous space operations, including Global Hawk and Cygnus. As of 2018, Northrop Grumman is the primary contractor for the James Webb Space Telescope. Northrop Grumman recently celebrated the 20th anniversary of the DARPA-sponsored Global Hawk, an unmanned aerial vehicle with abilities to “gather near-real-time, high-resolution imagery of large areas of land in all types of weather.” The U.S. Air Force has been actively using the Global Hawk since 2001. In 2014, NASA announced that Northrop Grumman Aerospace Systems and NASA Armstrong had formed a partnership to operate Global Hawk missions for “Earth observation research.” It is primarily used for autonomous airborne research of weather formations in high altitudes. According to Northrop Grumman, the Global Hawk can be airborne for more than 30 hours. It has assisted in autonomously examining hurricanes and flood-causing “atmospheric rivers,” their formation, and the possibility of improving extreme weather forecasts. According to NASA, the Global Hawk supported the 2012–2014 study of Hurricane and Severe Storm Sentinel from over the Atlantic Ocean. NASA plans to use the Global Hawk for future hurricane studies in both the Atlantic and Pacific oceans. The video below shows the capabilities of the Global Hawk. The ability of the Global Hawk to autonomously fly long distances, remain aloft for extended periods of time and carry large payloads brings a new capability to the science community for measuring, monitoring and observing remote locations of Earth not feasible or practical with piloted aircraft, most other robotic or remotely operated aircraft, or space satellites. Northrop Grumman developed the automated Cygnus spacecraft to provide cargo delivery services (crew supplies, spare equipment and scientific experiments) under a NASA Space Act Agreement. Cygnus performs resupply flights to the International Space Station (ISS). According to Northrop Grumman, Cygnus is conducting 11 space missions delivering over 66,000 pounds of cargo to the space station, the first of which was completed in early 2014. Northrop Grumman Corporation recently announced the completion of its 10th cargo supply mission to the ISS. According to the announcement, Cygnus delivered approximately 7,400 pounds of cargo, supplies and scientific experiments to the ISS and removed more than 5,500 pounds of disposal cargo. The next and final Cygnus launch under the initial contract is scheduled for April 2019. Following this, Northrop Grumman is set to carry out at least 6 missions carrying over 44,000 pounds of cargo to the ISS. Blue WASP is an intelligent software developed by Northrop Grumman that warns US Navy vessels of a swarming boat attack using machine learning and behavioral algorithms. It is also operational on both standalone and radar-integrated systems on the surface of a waterbody, ashore, and on the air. The brochure also suggests that by employing behavior algorithms, electro-optical and infrared sensors, the Blue WASP system is able to detect “patterns-of-activity” anomalies from threats. These anomalies are essentially deviations from the regular or typical patterns that a moving target might exhibit. Blue WASP, according to Northrop Grumman, is operational across multiple command levels, including shipboard watch stations, airborne command and control, and fleet intelligence centers. Northrop Grumman’s LITENING series is an integrated targeting pod mounted onto an aircraft’s exteriors. These pods contain infrared sensors that transmit infrared images of a target to the aircrew. According to a 2017 article on the Northrop Grumman’s Now blog, LITENING G4, the fourth generation of the LITENING series, uses sensors, advanced image processing and laser imaging. G4 provides combat ID (a device that distinguishes home military ground vehicles from the opposition), range recognition, and “situational awareness” capabilities. The article further hints that AI is used to process multiple inputs and low-resolution images obtained from these sensors. However, whether Northrop Grumman currently employs these AI systems is not clear. This article seems to target recruitment for AI talent, which gives way for the assumption that the company was, as of 2017, in an experimental phase with AI. Further, this article makes a case for employing AI, such as computer vision, in sensor technology for autonomously filtering specific, “trustworthy” inputs from various sensors from the targeting pod. However, it is still unclear whether Northrop Grumman employs this “sensor fusion” technology. A 2015 press release mentions a direct quote from Jim Mocarski, former vice president, Airborne Tactical Sensors business unit, Northrop Grumman. According to Mocarski, “LITENING’s unique design” has allowed for integrating “latest technologies.” It is, again, unclear whether these latest technologies include artificial intelligence. Further, according to this press release, LITENING G4 technologies include “digital, high definition video, 1K forward-looking infrared and CCD sensors, short wave infrared laser imaging, color symbology, tracker improvements and enhanced zoom.” It claims that these features improve G4’s accuracy in target identification and long-range locations. The Northrop Grumman LITENING series webpage provides some numbers on the LITENING series. They are integrated on the C-130, F-16, A-10, AV-8B, B-52, EA-6B, F-15E and F/A-18 C/D vehicles. These numbers are corroborated in the previously mentioned 2015 press release. Latest numbers are not available. The U.S. Air Force has awarded Northrop Grumman Corporation a $1.3 billion indefinite delivery, indefinite quantity (IDIQ) award for LITENING advanced targeting pod sustainment, production, software and upgrades.” This news article further mentions about LITENING’s clients: Air Force, Air Force Reserve, Air National Guard, the Marine Corps and “several international customers. The Northrop Grumman website provides some insights on the capabilities and features of Synthetic Adaptable Intelligent Entity (SAdIE). The company claims that SAdIE is a “humancomputer” interface, which acts as “an articulate and adaptable voice and visual interface to computer-based data.” However, not much information is given on how SAdIE is adaptable. However, the site does not explicitly state what technologies SAdIE is built on. From its listed competencies, we could only surmise that SAdIE perhaps leverages Natural Language Generation, Understanding, and Processing technologies, along with voice recognition, voice-to-text conversion, conversational AI and auto-summarization capabilities. SAdIE was built as early as 2013, according to the company. 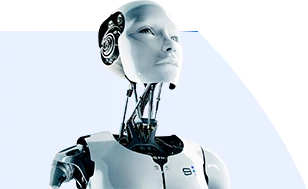 The website also adduces that depending on user requirements, SAdIE can “manifest as an intelligent voice, text interface or can be visually portrayed as a speaking, animated male or female avatar.” In addition, the company claims that SAdIE reduces operational costs although it does not explain how. The above-mentioned technologies SAdIE is purportedly built on seem far more advanced and less available in 2013 than they are now. We could not find additional, more recent information on SAdIE, that elaborates on its technologies or showcases its real-time performances. Stockbrokerage might be viewed by investors as a traditionally human-based service allowing them to buy and sell equities. When looking at the shift in how stock brokerage is different today compared to the early 2000s, the largest change seems to be in software-based automation. Put simply, a lot of what was being done by humans (such as executing trades, giving advice to investors, discretionary trading) can now be done through software. The number of persons aged 60 or above is expected to grow from 962 million globally in 2017 to 2.1 billion in 2050 and 3.1 billion in 2100, according to a United Nations report. In the United states alone, the healthcare industry employs over 4.5 million nursing aides and orderlies and home health aides and personal care aides. Thanks to the relative ease with which local governments can now gather real time data, combined with the capabilities of artificial Intelligence, cities are realizing interesting new ways to run more efficiently and effectively.